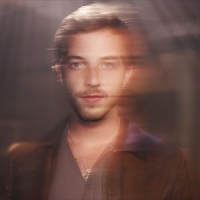 James Morrison is a BRIT-award-winning English pop/soul singer, musician and songwriter active since 2006. His debut album, "Undiscovered", reached number 1 in 2006. Hit singles include "You Give Me Something", "Wonderful World", "You Make It Real" and "Broken Strings". The follow-up album, "Songs for You, Truths for Me" was released in 2008, plus "The Awakening" (2011), "Higher Than Here" (2015) and 2019's: "You're Stronger than You Know". He won a 2007 BRIT award in the Best British Male Solo category and was nominated for the same category at the 2012 BRIT Awards.